WASHINGTON, DC—AARP The Magazine announced today that Helen Mirren will receive the 2017 Movies for Grownups Career Achievement Award. The AARP Movies for Grownups® multimedia franchise was established in 2002 to celebrate and encourage filmmaking with unique appeal to movie lovers with a grownup state of mind—and recognize the inspiring artists who make them. Mirren, an Academy ®, Golden Globe®, Emmy®, Tony®, BAFTA® & Olivier® Award-winning actress will receive Movies for Grownups’® highest honor on Monday, Feb. 5, 2018, at the Beverly Wilshire, Beverly Hills. AARP The Magazine will host the 17th annual Movies for Grownups® Awards, where many other awards, including best actor, best actress and best director, will be presented. Event proceeds benefit AARP Foundation, which works to end senior poverty by building economic opportunity and social connections for vulnerable older adults in L.A. and across the country. Simultaneously, AARP announced today that the Movies for Grownups® Awards will be broadcast for the first time ever. Co-produced by the Great Performances series, the awards premiere Friday, February 23 at 9 p.m. on PBS, (check local listings), pbs.org/gperf and PBS apps. The recipient of an Academy® and Golden Globe® Best Actress Award for her landmark performance as Queen Elizabeth II in the movie, The Queen, Helen Mirren’s singular talent has been recognized with numerous awards worldwide. Two of her four Primetime Emmy® Awards were earned for her breakout role as Detective Chief Inspector ‘Jane Tennison’ on the long-running, highly popular British television series, Prime Suspect, which aired on PBS in America. 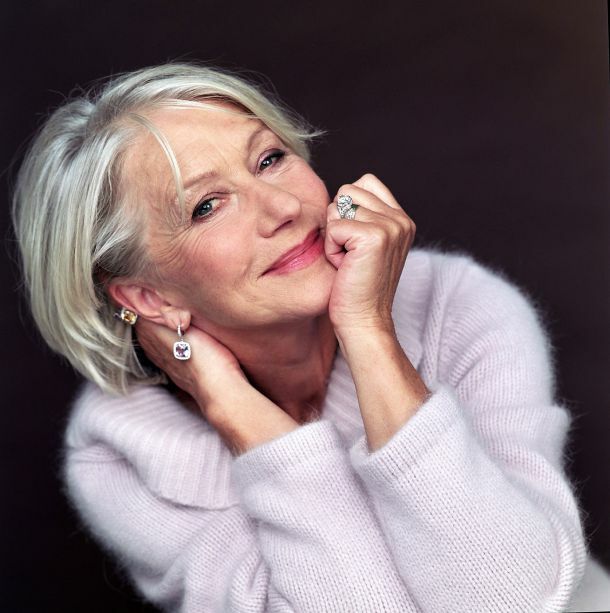 Also among Mirren’s many distinctions include four Movies for Grownups® Awards, five BAFTA® Awards, a Tony® Award, and an Olivier® Award. In 2003, she was appointed a Dame Commander of the Order of the British Empire (DBE). Helen Mirren joins a prestigious list of previous AARP Movies for Grownups® Career Achievement honorees, including Morgan Freeman, Michael Douglas, Kevin Costner, Susan Sarandon, Sharon Stone, Robert Redford and Robert De Niro. With more than 37 million readers, AARP The Magazine is the nation’s largest circulation magazine – and the definitive lifestyle publication – for Americans 50 and older. AARP The Magazine delivers targeted content in three demographic versions – for readers age 50 to 59, 60 to 69 and 70-plus – including health and fitness features, financial guidance, consumer information and tips, celebrity interviews, and book and movie reviews. AARP has been publishing a magazine for members since its founding in 1958. AARP The Magazine is published bimonthly in print and continually online. Learn more at www.aarp.org/magazine/.